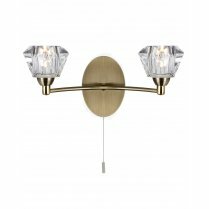 With clean lines and sculptured angles, the Sierra Wall Light will be an attractive additional light source in any modern home. 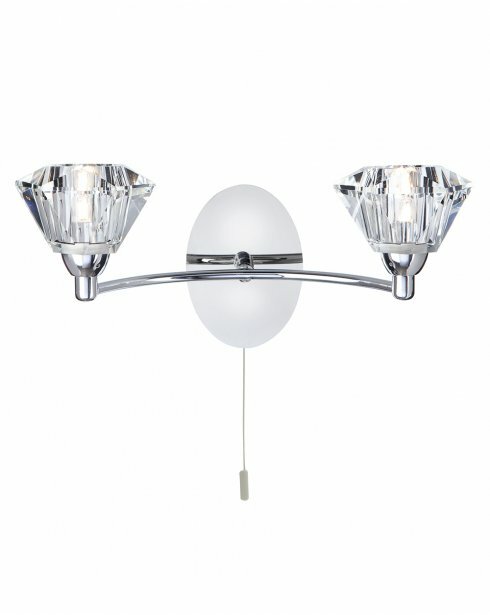 A single polished chrome arm curves out from an oval wall plate, with a clear sculptured glass shade at each side. Thanks to the pull cord you are able to create a relaxed ambience as the Sierra can be turned on and off independently from your existing lighting. 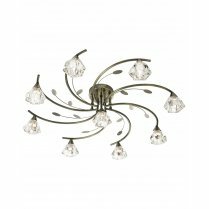 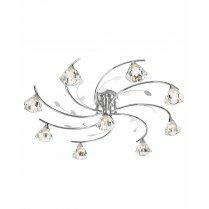 The sparkling lighting effect will complement any contemporary living space. 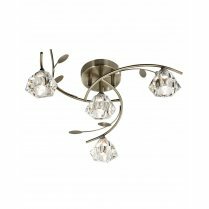 Matching 4, 6 & 9 light semi flush fittings are also available in antique brass or polished chrome to continue the look throughout your home. 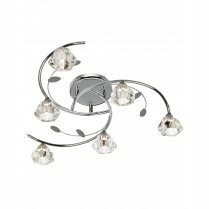 Requires 2 x 33W G9 bulbs and suitable for use with low energy G9 LED's.